Nitecore® TIP 2017 is a compact USB rechargeable light with four brightness levels up to 360 lumens and a runtime of 46 hours on low. At just 0.83 oz (23.6 g), it weighs as little as a AA battery. TIP has a micro-textured reflector providing 70˚ flood illumination for outstanding night vision and a rugged, hard-anodized aluminum body. Just plug into a power bank battery to recharge and never worry about running out of power or replacing batteries again. 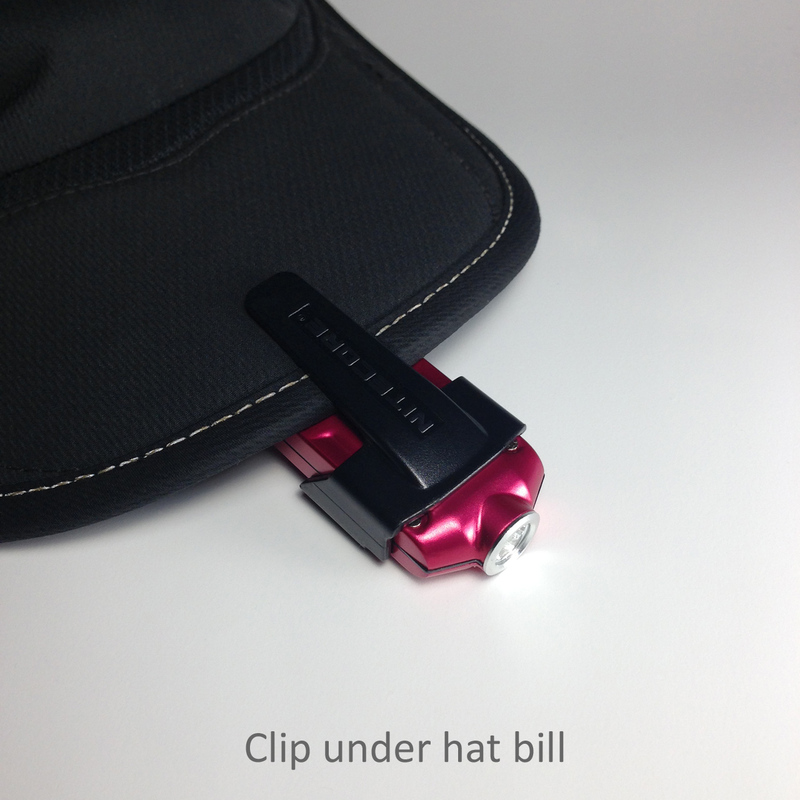 A multi-purpose clip allows you to attach the light to your hat bill for headlamp-like performance. Flip it around on the button side and it acts as a switch guard, protecting the buttons from being activated while in your pocket or pack. 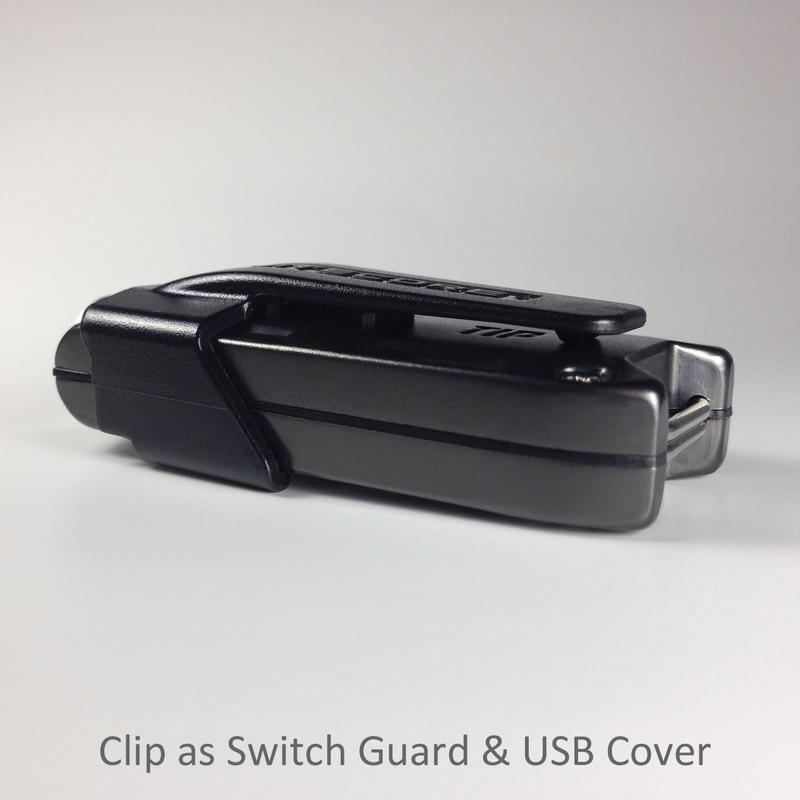 The clip also fully covers the USB port, providing protection from moisture and dust. TIP has two buttons, Power and Mode – very simple. Hold down the Power button to turn on the light in low mode. Press the Mode button to cycle from Low>Medium>High. To turn off, press the Power button again. TIP has a memory and will turn on in the last previous mode. To enter Turbo mode, hold down the Mode button. Release to resume to the prior mode. TIP has two different operating modes. In Daily Mode, the light shuts off automatically after 30 seconds without pressing a button. 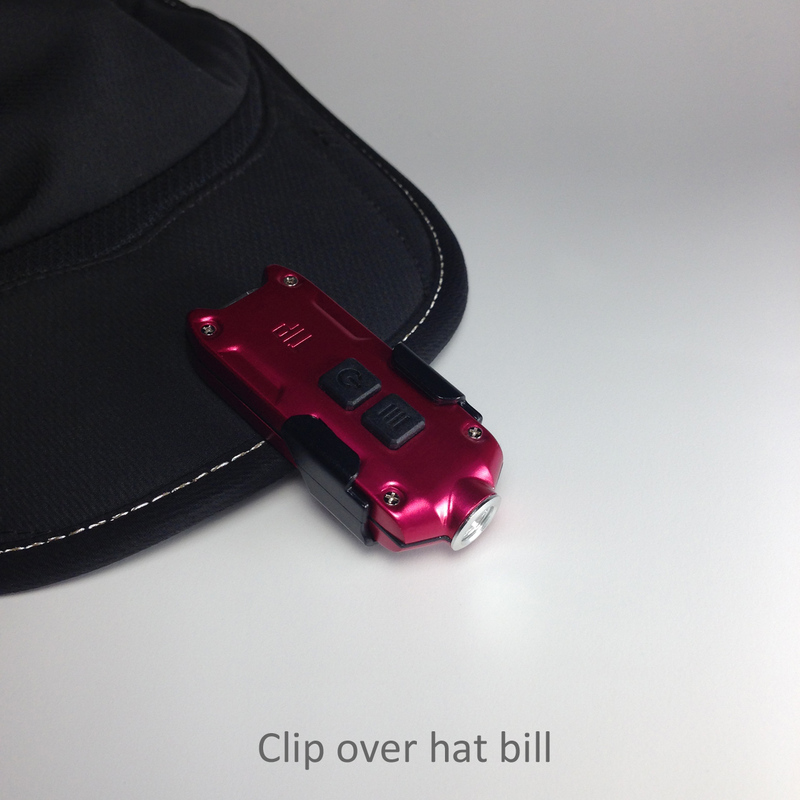 This works well for tasks that only require light for a short period time. It also prevents power loss when the light is accidentally activated or left on. If you need continuous illumination, then use Constant-On Mode. Holding down both the Power and Mode buttons at the same time will switch between the two modes. A single flash indicates Daily Mode, a double flash indicates Constant-On Mode. If the light shuts off in Daily Mode after 30 seconds, you can switch to Constant-On Mode by pressing the Power button within 3 seconds. An Advanced Temperature Regulation module regulates the output based on the ambient environment, maintaining optimal performance. TIP has a built-in, long-lasting 500 mAh Li-ion rechargeable battery that’s much more sustainable than disposable batteries. An intelligent protective charging circuit and a Micro USB connection make it easy to recharge. Since you probably already carry a spare battery to charge your phone, there’s no need to worry about running out of power or replacing batteries, just plug into a power bank, wall charger, computer, or car (USB cable not provided). The light maintains full functionality while charging. A special power management chip allows the charge to last up to 1 year. The buttons will flash red when the battery needs to be recharged. To see how much battery power is left, with the light turned off, hold down the Mode button for 1 sec and release. The buttons will flash 3 times if you have more than 50% power, 2 times if you’re below 50%, and 1 time if you’re below 10%. Plug it in and an indicator light lets you know when the charge is complete. TIP has an integrated, stainless steel bar for mounting. So strong it supports up to 66 lb (30 kg) of weight. Two split rings and a clasp are also included for mounting a lanyard, connecting a micro carabiner, or attaching to a keychain. Very bright light, to avoid eye injuries, DO NOT stare directly into the light and DO NOT shine the light directly into the eyes of others. DO NOT use if battery is damaged to avoid fire or explosion. Charge in or on a fire-proof surface to avoid possible injury. DO NOT charge unattended. Charge only at temperatures between 32-113°F (0-45°C) to avoid permanent damage and possible fire or explosion during charging. Recycle or dispose of properly according to local regulations at end of life, DO NOT dispose in fire or incinerator as battery may catch fire and explode.